I must first apologize for the lateness of this posting. Things here at the library have been very busy and my work load has not allowed me the time necessary to review all the evidence. Many of you have been calling or emailing me asking when the rest would be posted. I hope that I will be able to post the rest within the next couple articles. Thank you for your patients. Some of the EVPs listed are very hard to hear. For best results listen with headphones in a quiet room. Please let me know what you think you hear. Watch for the recordings from the digital recorder soon. If you have heard something please let me know what you think you hear. I would love to hear from you. 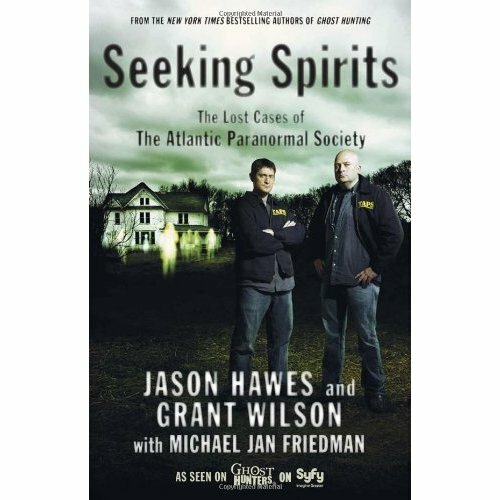 New on our shelves is the new book “Ghost Hunt: Chilling Tales of the Unknown” by Jason Hawes and Grant Wilson. If you want to know what goes bump in the night…if you feel a shiver up your spine when you enter a dark room…If you wonder: Is it real? Ghost Hunt has the answers. Are two young boys seeing misty figures in their room at night—or is it just a trick of shadows from passing cars? Is Fort Mifflin haunted by the spirits of soldiers? Can an eight-year-old girl really talk to a ghost? Unlock these mysteries and many more in this chilling collection of terrifying tales based on real cases from The Atlantic Paranormal Society. Join real-life Ghost Hunters Jason Hawes and Grant Wilson on their quest to find the truth behind eerie paranormal events. Become a TAPS team member and learn how to spot a hoax, how to catch EVPs, and how to face your fear or the paranormal!